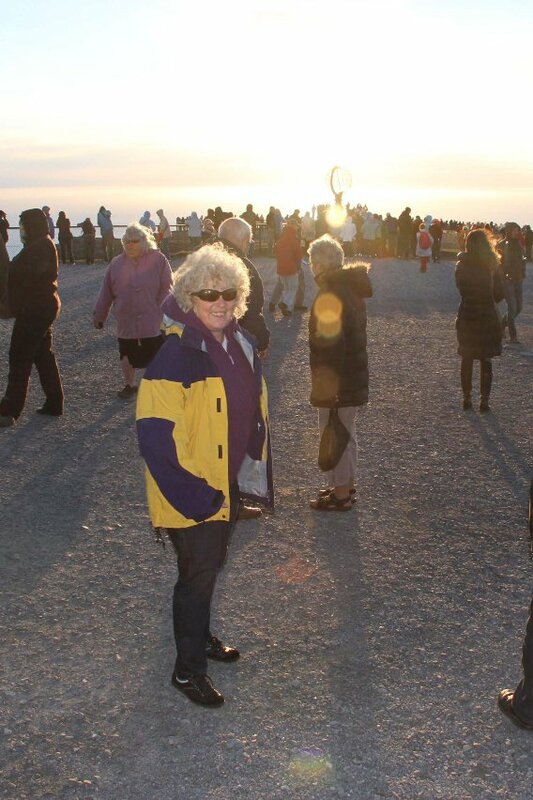 On July 5th we flew to Alta from Oslo, rented a car and drove to North Cape to see the midnight sun. 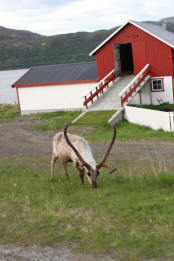 In Alta, we visited the Alta open air museum of Alta Rock Carvings. It is a UNESCO World Heritage Site and the only prehistoric one. The carvings on the rocks date to around 4200 BC to 500BC and depict the fishing, hunting and survival of the Stone Age man. The surrondings were very beautiful and picturesque. We walked around for a long time and visited the museum to buy 'chachki's - as Stephan calls this exercise. We then had dinner in Alta and drove to North Cape. 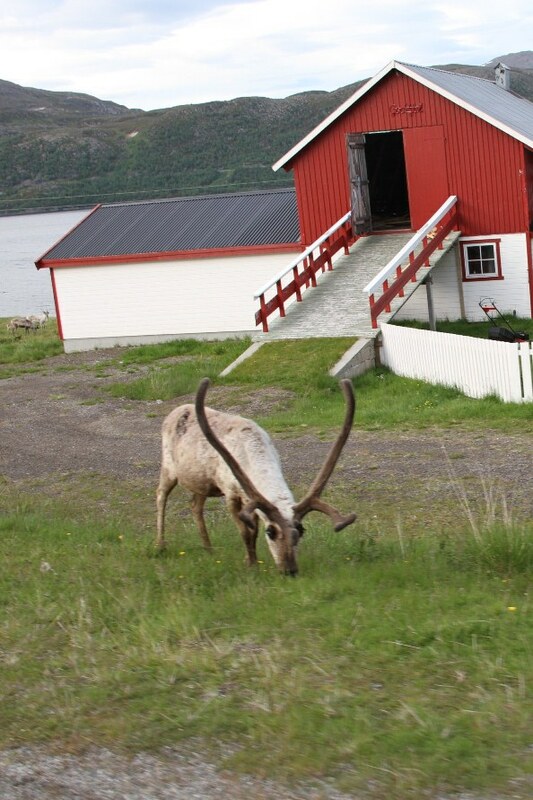 On our way, we passed herds and herds of reindeer. Unfortunately none of them look like Rudolph or friends. They are quite ordinary looking sometimes with asymmetrical antlers. They are mainly herded for meat, hides, milk and transportation; and roam free in the wilderness. Entry to North Cape, like everything else in Norway, cost money. We were amazed to see so many campers and tourist buses. The Spanish seemed to dominate the buses and the Dutch the campers. It looked like a madhouse until midnight but after that buses left, crowds thinned out and it was lovely. 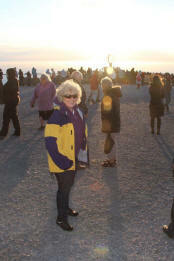 We witnessed the midnight sun and the midnight moon 45° apart in the sky. We walked around and enjoyed one of the northernmost points in Europe in summer. 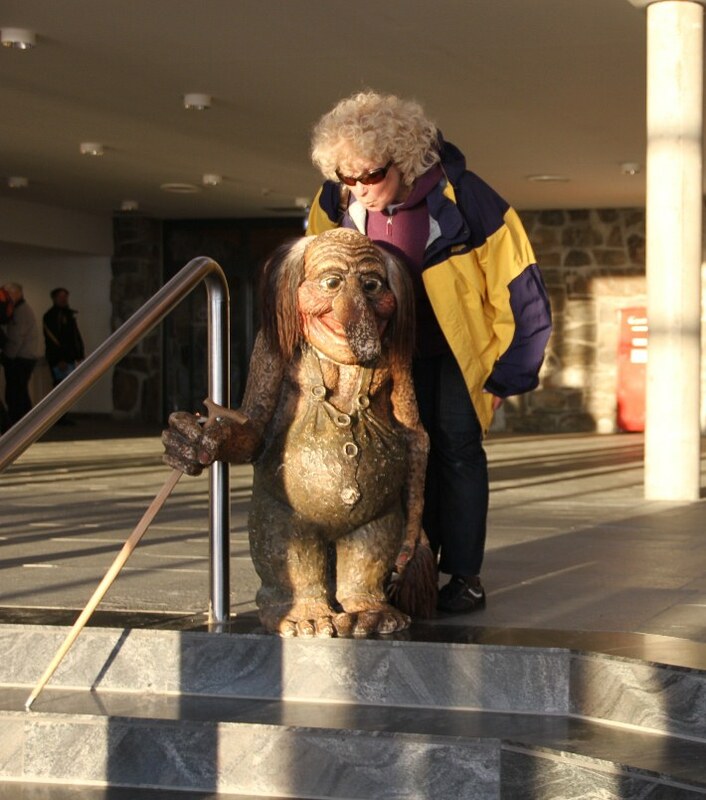 I also had my first kiss with a troll! We visited the Children of the World Monument. On our way back we drove around in the sleepy town of Hammerfest which claims to be the northernmost town in Europe. Unless you ask Honningsvåg of course! At 7:00 o'clock in the morning we were back at Alta airport and flew to Oslo. Oslo was to be the last leg of our amazing Norwegian adventure.